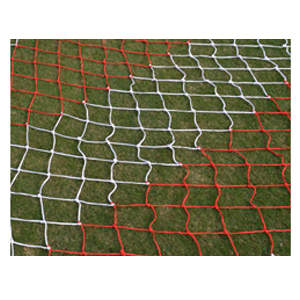 We are manufacturers, suppliers and exporters of Soccer Nets. 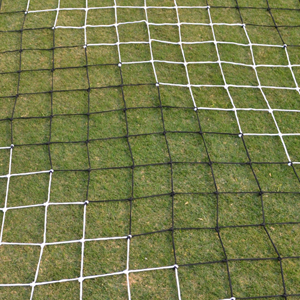 We have been a netting supplier for a number of major sporting stadiums in India as well as abroad for the past few years. 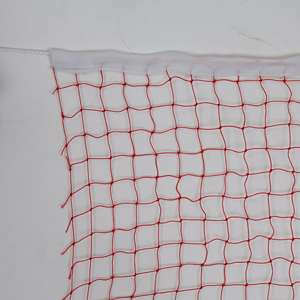 We are one of the leading manufacturer and exporter of various type of sports net like Soccer net, basketball net, table tennis net, handball net, cricket net, volleyball net, football nets and others at industry leading prices..
Official size 24” x 8”x 4” x 10”Braided Polyethylene (PP).Available in 3 mm and 4 mm.Different colors available. 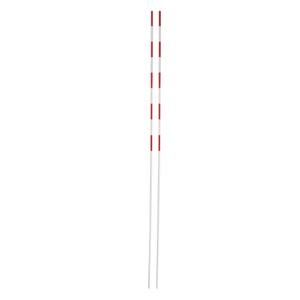 Official size 24' x 8' x 4' x 10'.White & Red striped barded Polyethylene (PP).Available in 4 mm and 6 mm. 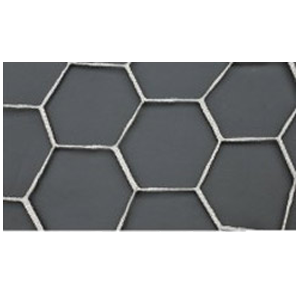 19 mm polyester mesh heavy duty head band. 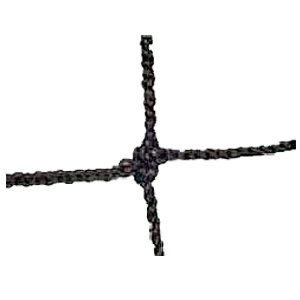 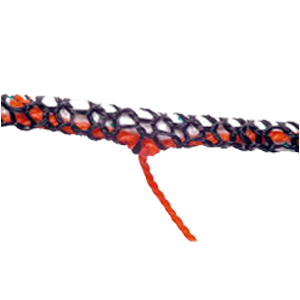 Made of heavy duty nylon material 19 mm mesh ;Heavy duty head band.Interlocked on 3side.NB-02020' LONG.NB-02222' LONG.NB-02424' LONG. 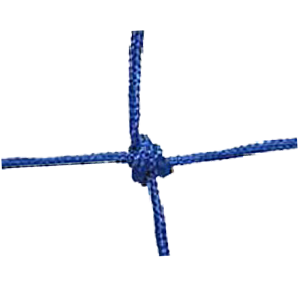 3 MM Knotless Braided nylon with heavy duty tape on 3 sides & plastic coated wire;2.5 mm Thick twisted PE with heavy duty tape on 3 sides & plastic coated wire. 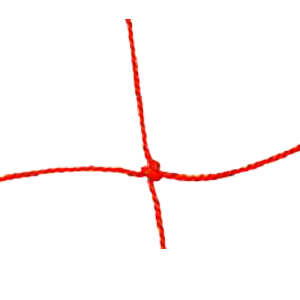 Knottiness barded Polyethylene (PP).Available in 4 mm and 6 mm. 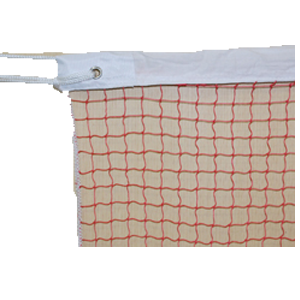 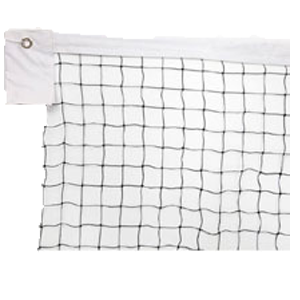 All nets come packed in an attractive carry bag.All net are with interlocked edges. 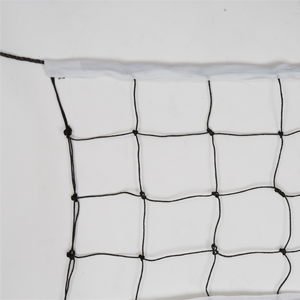 Machine knitted nylon mesh • 3.75cms tape on top • Black tape on 3 sides • 4mm PP rope on top & bottom . 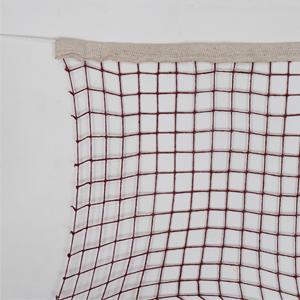 2" strong nylon tape on all 4 sides • Hand knitted double knotted PP Net • 6mm fiber rope on top & bottom . 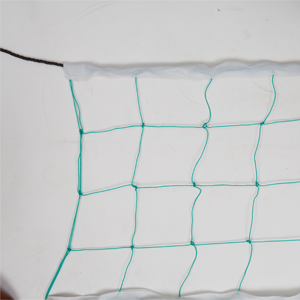 Machine knitted HDPE mesh • 3.75cms nylon tape on 3 sides • 3mm PP rope on top & bottom . 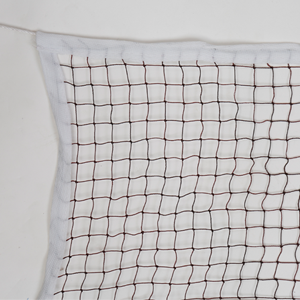 Cotton mesh • 3.75cms cotton tape on all sides • 3mm PP rope on top & bottom . 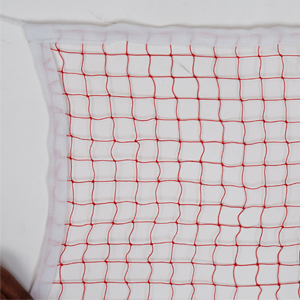 Machine knitted HDPE mesh • 3.75cms cotton tape on all sides • 3mm PP rope on top & bottom . 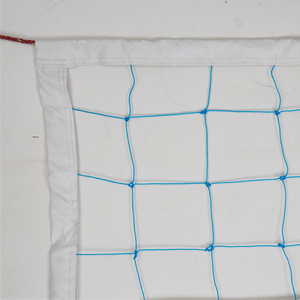 Machine knitted HDPE mesh • 3.75cms cotton tape on 1 side • 3mm PP rope on top & bottom . 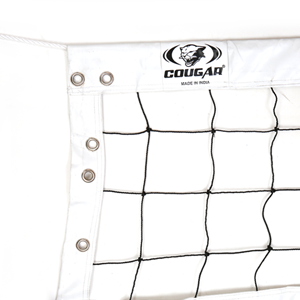 With steel wire • 2.5mm machine knitted PE • 3" Wide heavy duty vinyl coated Nylon Headband • 2" heavy duty vinyl coated Nylon on 3 sides • Heavy duty 6mm rope on top & 8mm cord at bottom . 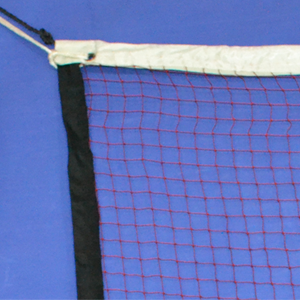 1.5" strong nylon tape on all 4 sides • Hand knitted 2mm HDPE Net • 6mm fiber rope on top & bottom. 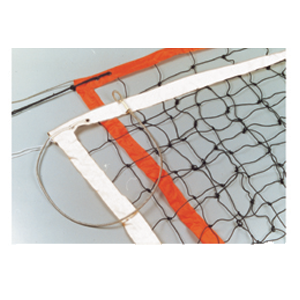 2" strong nylon tape on all 4 sides • Hand knitted PP Net • 5mm fiber rope on top & bottom . 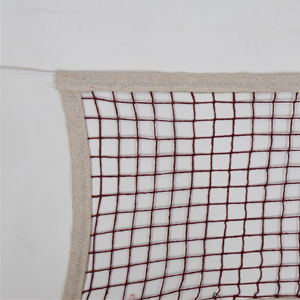 Hand twisted PP Net • Heavy duty tape on all sides . 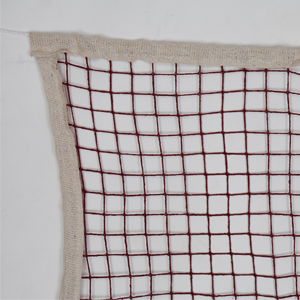 Hand knitted with nylon tape on 2 sides 4mm fiber rope on top & bottom . 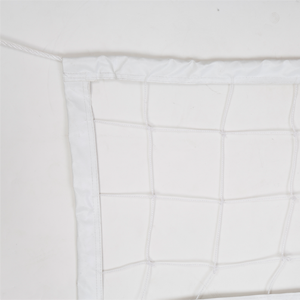 hMade of Lexan hComes with an antena pocket that laces securely to a net SPORTS . 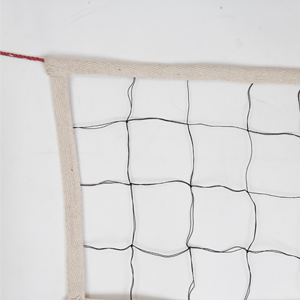 Hand knitted with nylon tape on 2 sides • 4mm fiber rope on top & bottom . 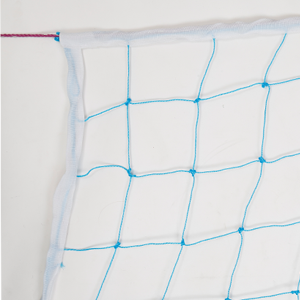 Hand knitted double HDPE with cotton tape on all sides • 5mm fiber rope on top & bottom .